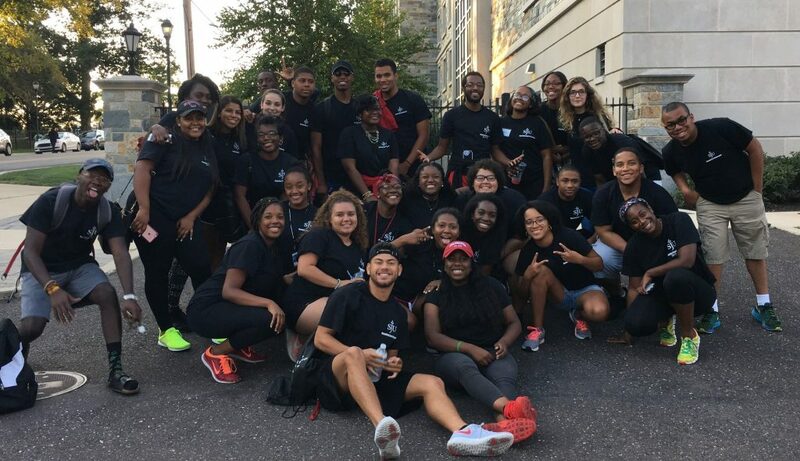 Offered by the Office of Student Inclusion and Diversity, Running Start is an early arrival program that begins with a four-day “pre-orientation” and continues throughout the year to support diverse first year students. In keeping with the university’s commitment to inclusion and diversity, the program enhances students' sense of belonging and prepares them for success. Click HERE to view/download the Running Start 2018 brochure! "I am so grateful for Running Start for it gave me my best friends, and a community I knew supported me, and I supported as well. It allowed me to be comfortable with who I am and insured me that I am never alone." "Running Start provided me with a home that I didn't have coming into a new space. The program gave me the tools that I needed to be a leader on campus, a connection with others, and the ability to support other underrepresented communities." Aside from coming to SJU, joining Running Start was one of the best things I could have done. It was a crash course giving me structure so I could hit the ground running. I knew it was going to be different from high school, and it helped give me an edge in making connections with friends, administrators, and faculty. As a student of color, Running Start become my haven and the CID my headquarters.